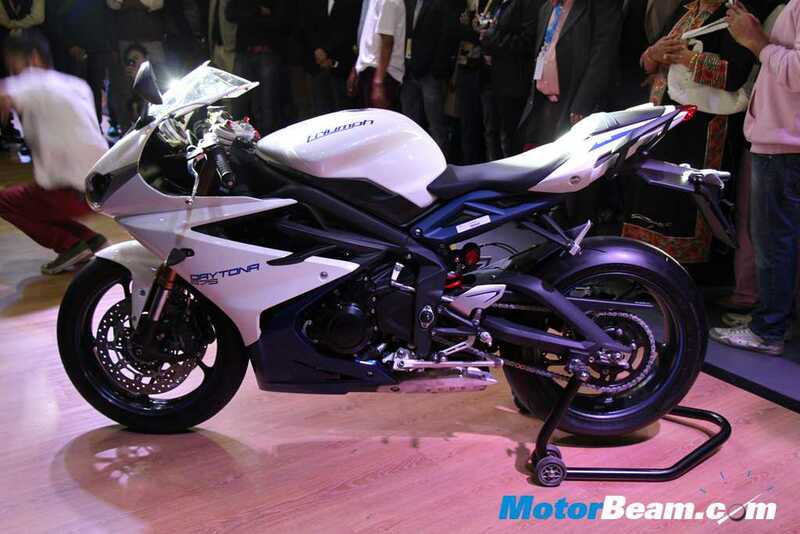 Triumph has launched the Daytona 675 in India at a price of Rs. 10.15 lakhs (ex-showroom, Delhi) at the 2014 Auto Expo in Delhi NCR today. 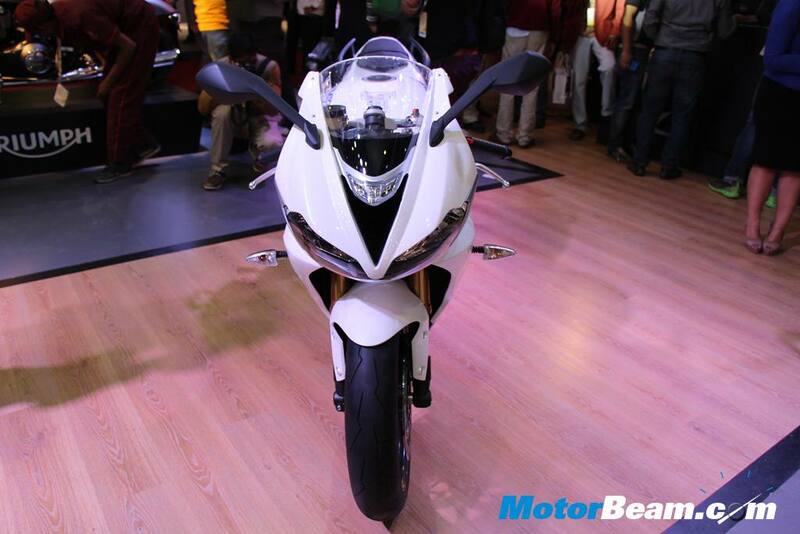 The bike is the sub lime version of the Daytona R which was launched last year with nine other models in the country. 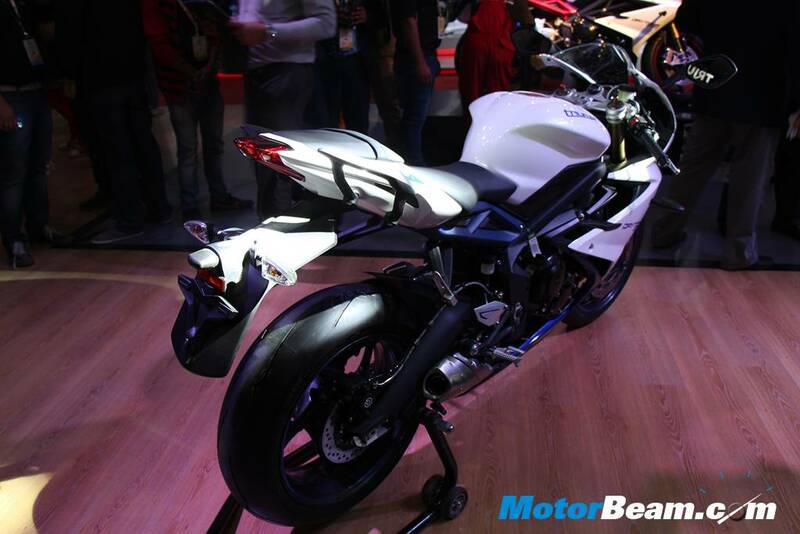 The Triumph Daytona 675 gets the nose-down tail-up design with the front featuring twin-split headlights. 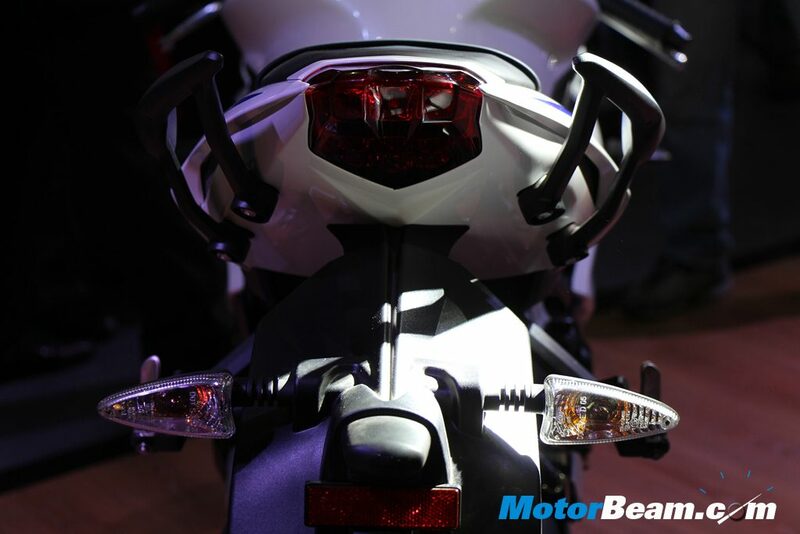 The motorcycle has an aggressive stance and gets a sporty riding position with a fully faired body. Powering the motorcycle 675cc is a 3-cylinder liquid-cooled, 12-valve in-line engine capable of producing 131 PS of power at 12500 RPM and 74 Nm of torque at 9750 RPM. The engine is mated to a 6-speed gearbox. The Daytona 675 gets full adjustable KYB suspensions in front and rear as well as low and high speed compression damping adjustment, making the Daytona brilliant to ride on road and on track as well. Triumph has wrapped the light wheels in Pirelli SuperCorsa tyres, while stopping power comes with Nissin radial callipers in front and Brembo callipers at the rear. Enough reasons why the Daytona is regarded as the best half-litre motorcycle in the world. The more powerful Daytona 675R was first launched in the country at 11.4 lakhs last year, but was criticized on the exorbitant price for a half-litre motorcycle. 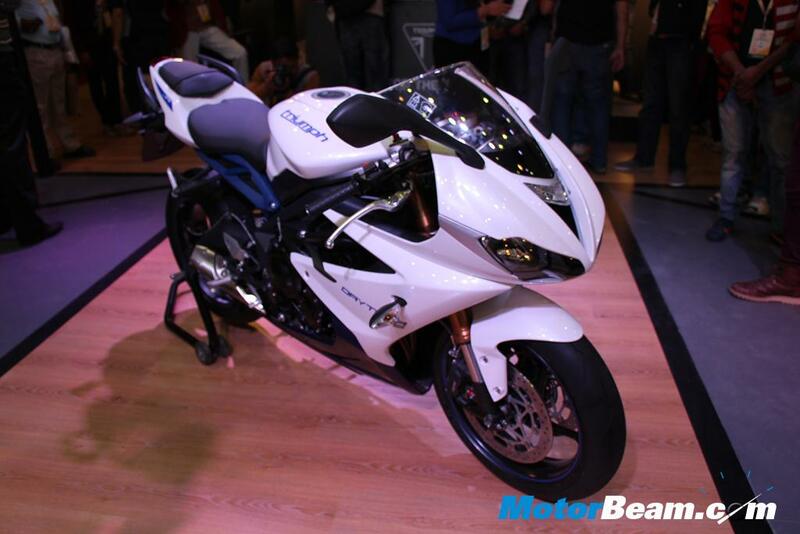 The Daytona 675 reduces the price difference marginally but is still priced at a premium. 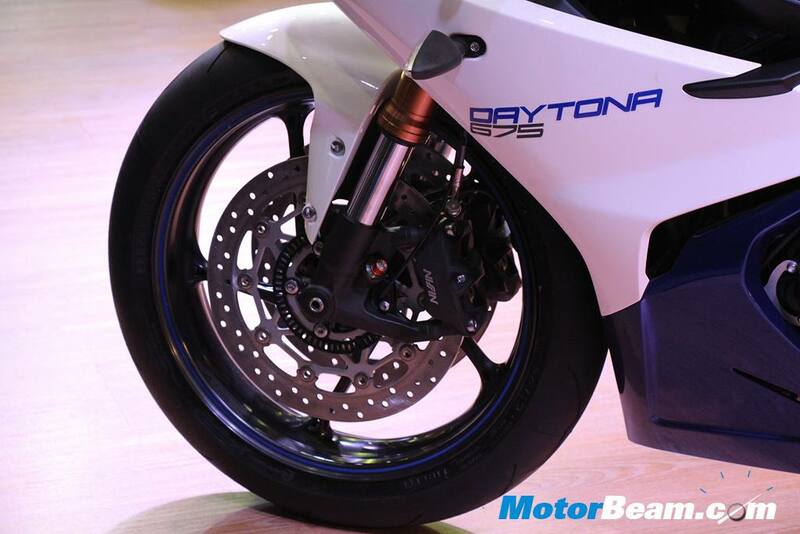 The Daytona will be competing against the Kawasaki 650R, Hyosung GT650R and the upcoming Honda CBR650F in its segment. 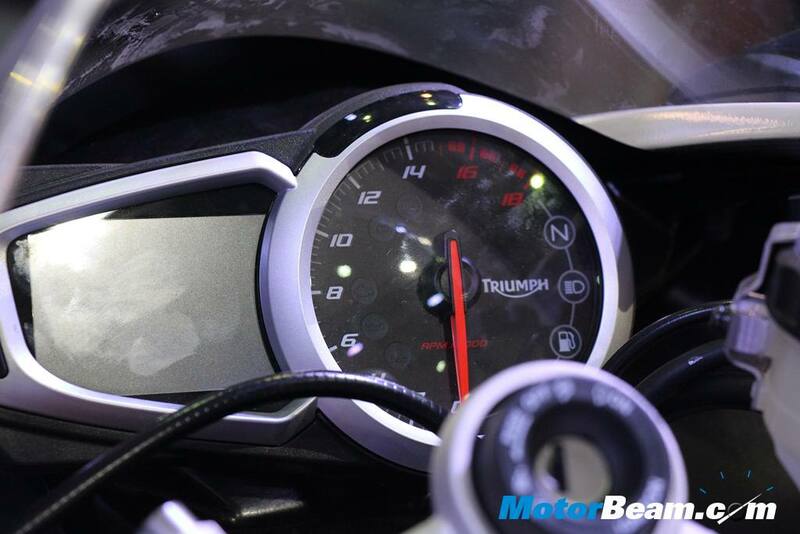 Triumph is very positive of its innings in India. The legendary British manufacturer has raked in over 160 bookings since its launch in November last year and aims to sell 500 units by June this year. The company is planning to sell a total of 1500 bikes by mid-2015. Triumph is will also expand to other major cities with its dealerships in the coming weeks, while booking for Delhi and Chennai commence from today. The company now sells 11 products in the country ranging from Rs. 5.9 lakhs to Rs. 24.5 lakhs.